Illayathalapathy Vijay and Shruthi Hassan are shooting for ‘Puli’ at the Thirupathi Seshasalam forest area where some crucial scenes were canned by director Chimbudevan and Natty Natraj. The shocking news is that the recent controversial Andhra forest encounter that killed twenty people was just about 30 kilometres fom the ‘Puli’ location. 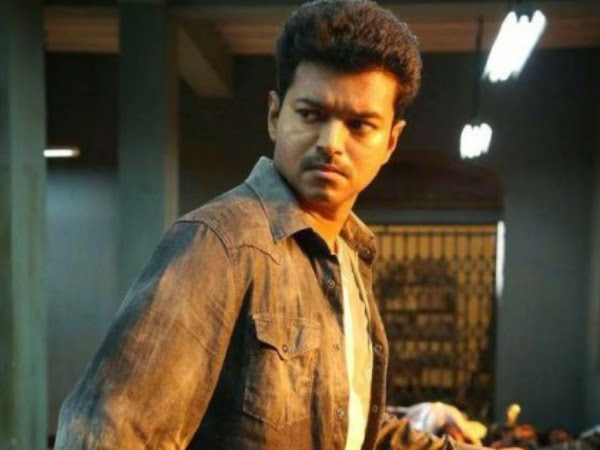 Vijay and Shruthi and the crew were unaware of the gruesome incident and only when they were returning from location when there was unusual police checking they came to know about it and everyone were shell shocked. Further information is awaited whether shooting will continue in the same location or a different one.